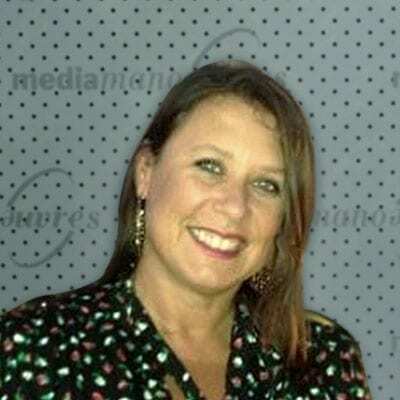 Dana Michell is a versatile media professional with a career spent writing, producing or promoting news stories for more than two decades across TV, radio, print and online in Australia and overseas. Dana has worked on both sides of the Public Relations fence – as a reporter trying to “tell the story” and as a corporate publicist trying to “get the message across”. This experience has given her a genuine empathy and understanding of how best both sides can work together. With a Double Major in Journalism from the University of Queensland, Dana quickly became a TV reporter with the Ten and Seven networks. On weekends, she produced news and current affairs programs on Brisbane radio station 4BC and freelanced for several magazines and newspapers. Her time as a reporter gave her some distinguished contacts in the business and government sectors and it wasn’t long before Dana was asked to handle publicity for the Australian Stock Exchange. This included the media training of business identities and stockbrokers. She also worked in a similar role for the Queensland Ambulance Service, training paramedics in the field on how to handle the media and write news releases. With a love of travel, Dana based herself in North America for several years, where she worked on everything from provincial newspapers in Canada to the biggest current affairs show in America, known as “20/20 with Barbara Walters”. Not wanting to lose her publicist hat, she also worked for a Public Relations firm in San Francisco’s Silicon Valley where her clients were high-tech internet companies starting up at the time, including Yahoo. Dana has interviewed and trained hundreds of high profile corporate identities, celebrities and sports stars on how to utilize the media and work the camera. This continues to be one of her main roles today as a Supervising and Senior Producer freelancing on a variety of TV programs with the major networks.